GRAZE is based on an opposites attract theme, highlighting contrast, whether it be between the dishes, the trendy restaurant interior, or the perfect balance of fun and refinement. The restaurant is built around the sharing concept, with a quirky yet subtly elegant setting complete with comfortable urban vibes. The LAZY GRAZING LUNCH menu will reflect the regular menu, with a delicious selection of unique meat, seafood and vegetarian options, such as Sea Bass Ceviche, Catch of the Day, BBQ Short Ribs, Baked Oysters and Wild Mushrooms – hand selected by Chef de Cuisine, Juan Pablo Dominges each week, and inspired by his passion for cooking with organic and local products and his views of food as art. Guests will enjoy table service with a flying buffet, with all food and drinks being served by a team of knowledgeable and attentive staff. 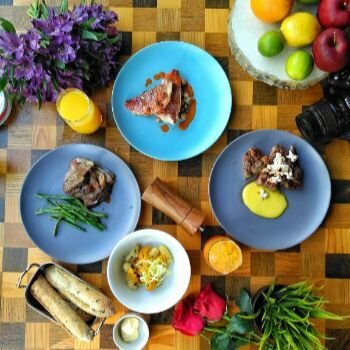 LAZY GRAZING LUNCH is priced at AED 199 for unlimited food with soft beverages, AED 299 for unlimited food with grape and hops, AED 399 for unlimited food with premium beverages. Guests can select a 3-hour block between 1-6pm. For bookings call +971 54 309 5948 or email laville.dining@autographhotels.com. La Ville Hotel & Suites, part of the Autograph Collection Hotels and developed by Meraas, is nestled within Dubai’s new urban living destination – City Walk.